Home / Celebrity Big Brother 2 / Celebrity Big Brother 2 – Live PoV And Eviction Night! It seems just like two days ago, Joey was refusing us with just one ‘woah’ as he was kicked out of the house. Oh, wait. It was two days ago. Damn you, Joey! Not even one ‘woah’?? Even Julie tried to pull one out of you but you blew it off. Bro, that’s what you’re known for. Give us what we want! What’s next? Even Lil Jon had the decency to give us one of his phrases during his Super Bowl commercial. It was a busy day outside the house as some drama is unfolding in the Big Brother alumni land. I am going to write a post about it, but trying to get a little more information on it, so stay tuned! I do have a question, however. I saw someone in the comment section mention the PPV of Swaggy/Fessy was $15. Is that indeed the confirmed price? I’m trying to crunch some numbers. Inside the house, well, Tom or Kato are gone. I don’t know which one. Doesn’t really matter because the other will likely follow him either next or shortly after. Unless the remaining player gets some pity and is able to re-join the house which I’ve seen happen before. Many times, the house is content on breaking up a duo but end up with bigger fish to fry once that duo is split. It is very possible that Tom will be voted out tonight and they’ll kind of forget about Kato. I hate that it seems like I’m playing favorites, but it’s because I am. Lolo and Tamar are full of drama and exaggerate the way people act which is not cool. 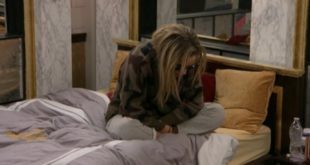 Natalie and Ricky are not as bad, but they enable the poor behavior so I’m just not a fan of the entire Bedroom Bunch. I still think Natalie is going to win, but I’m personally not a fan. Out of those remaining in the house, I want Kandi or Kato to win with Dina as a long third option. I try not to openly root for people (although I’m sure you can guess who I root for by the way I write), but in CBB, I’m all out in the open. I’m team Kato/Kandi. Ok, the live show is about to start so let’s get to covering it! Natalie threatens Tamar and tells her to check her girl (Kandi) because if she switches there will be a problem. I guess threats are only threats when Tom does it to Lolo? Dina picked her HoH choice because she missed Jonathan. Kato says he aligned with Natalie and Lolo because they’re beautiful. At least he’s honest. Previous Celebrity Big Brother – Super Monday Showdown! Who else is here for the show? What was with that Nom speech? Sooooo dramatic. 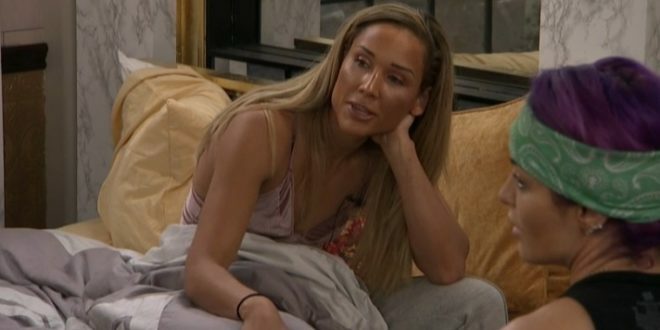 Between Tamar, LoLo and Natalie I am not sure who I’d rather smack in the back of the head. I agree with Steve, team Kandi/Kato all the way. I am with Steve too.Kandi or Kato to win. Lolo is going to win this! Lolo will def. keep noms. the same. I think it’s buh-bye, Kato. Unanimous. 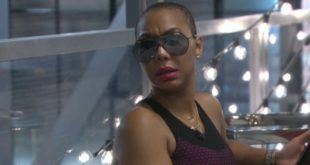 “It protects Tamar as she does not need to show her flip flop”…. Well, unless someone needs to use that info. to stay safe further down the lone. This “power” thing not being used will get Tom and Kato’s hopes up. Tom and Kato should hold hands. OOPS! Now, for the speeches. Only 8 days left of CBB2. So, they’re allowed to tell them who played in the Super Bowl but took a major stand in not allowing them to know who won? What the actual f*ck CBS. That’s some major blue balls. Oh, I missed Tamar talking about it. I thought Lolo just shouted out being in the SB, not winning. I was gonna say, they did them dirty! Is the live HOH tonight? Steve – I believe this is the official link to the charity event stream. It says $10-$45. I’ve tried to find the full Swayleigh video, but when I click it says deleted or not available. FOUTTE is FOUTTE’ing again. Bayleigh commented some shade on Fessy’s PSA. I wish we could upload photos. The alliance that keeps on giving! I read that too. She’s mad because she thinks her and Shaggy did all the work and she thinks he is getting to much credit. SMH. They weren’t so careful in their video response! They said they were going to give most or at least 1/2 to Kevin, but then he announced he was cancer free, so… (they give a shrug). That’s where the clip cuts off. I would love to see the whole thing. I HATE to say it, but I think Tantrum is playing a pretty good game. She’s aware of everything and puts on a good enough act to get by. I’m about to get hate for this, but she entertains me. And the fact that she’s already ahead of thinking about getting her roommates out..I was impressed. I don’t like her and won’t like her, but I was impressed too. She may be playing the best game. Keeping her enemies close. I like it. I just wanna see Nolo split. Then let everyone go at it. It will be a good game if they can split the bedroom bunch this next eviction. Is this almost over? These people are so bad I have lost my inspiration to post memes oh just an FYI if Julie does not continue as BB host I’m throwing my hat in the ring to be the new host I will go by Hogwild S Moonves my wardbore will be jeans T-shirt and new balance shoes. You may have to fight Gerardo… I’ll set up the event, maybe Kevin will volunteer to referee it! Was anyone else less than impressed with Gallagher? I just don’t find him funny. I’m kind of surprised that Kato got voted out over Tom. Maybe they felt Kato was more of a threat? Looks like Tom won HOH. Lolo, NEM, and Dina are upstairs in the HOH room with him. Bet he puts up Ricky and Tamar. Watch out! Dina’s drinking wine with them.